One can watch movies for many reasons – education, admiring the film art, entertainment, and fun. But doing it for the sake of killing time could show only one thing – we have miserably failed in understanding the meaning of time – it’s importance and what it brings. Imagine, simply walking in the streets with no reason. You might argue that sometimes that’s also necessary. 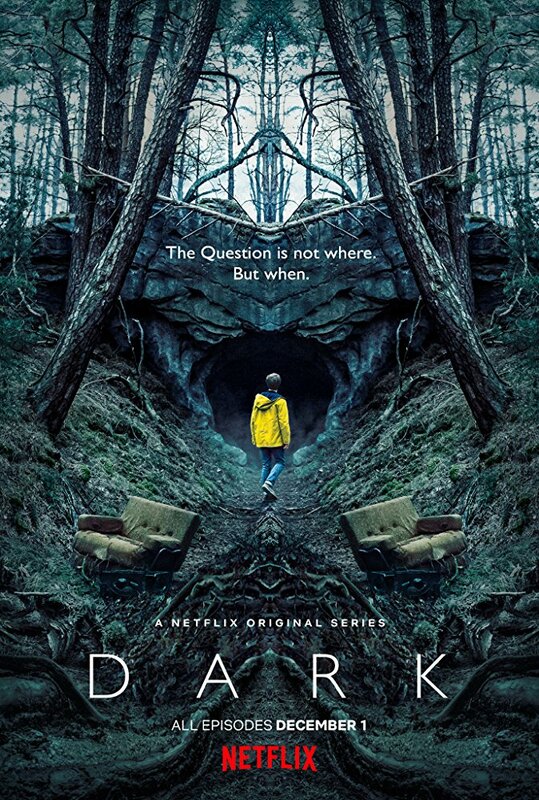 Yet, whatever you think, the new series from Netflix – “Dark” will change your perception of past, present and even future once and forever. What you did a minute ago will matter much more than ever before. The main logic of the series is based on the belief that nothing is coincidental and due to that a chain of events will be set into motion. At least, that’s what happens to those who live in the city of Winden. Some events happen every time when triggered – intentionally or not. Winden is a small German town. For four families living there, everything will change and the world will shatter forever when two kids disappear. In reality, it is all just the beginning of the events that are linked to the past and have found their way to hunt down those who have once dared to interfere with the lifecycle and change the course of it forever. The story begins with a letter from a man who hangs himself. There is a clear instruction – not to open the letter until the date specified on it. When it happens, nothing will remain the same. Ulrich Nielsen (Oliver Masucci), is a humble cop with troubled past. His brother has vanished thirty-three years ago. He is still having hard times to cope with what has happened. As if that’s not enough, now his son Mikkel disappears without a trace. Then, another boy vanishes as well. It all leads to the same place – the forest and the nuclear plant. And those two seem to be interconnected with one other. Charlotte Doppler (Karoline Eichhorn) is the head of the police department who does not believe that there’s a connection to the events that took place thirty-three years ago. A1s soon as she begins digging deeper, she finds the disturbing similarities between everything that occurs in the town in the past and in the present. As you start watching the series, you will meet characters who are even more important characters than Charlotte or Ulrich. Naturally, I am leaving out certain details because with series like “Dark” the less you know before starting to watch, the better. It’s good to be surprised, amazed and let the story kidnap you from the reality of whatever part of the world you are, and take you deeper into the world of Winden. And a small confession – I tried to take a one day break from the series, but I’ve failed because it wouldn’t let me go. It’s addictive and intelligent. The concept is brilliant and captivates the viewer’s mind. Also, with such storyline, “Dark” has chances to advance from one season to another and never repeat itself, even though, the time travel, the reoccurrence of events happening in “Dark” seems never-ending.